Should Honda Civic Si Buyers Be Worried About The Turbocharger? The VTEC engine is a goner. 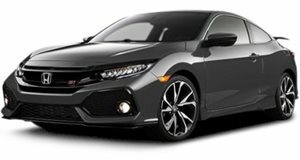 There’s been a lot written about the new 2017 Honda Civic Si lately (we’re guilty as charged), but it’s for very good reasons. 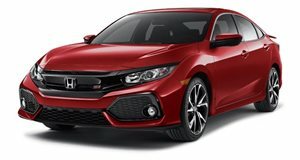 For less than $25,000 all in, including destination and a set of optional summer slicks, you can buy the newly turbocharged Civic Si coupe or sedan. That’s one of hell of a performance bargain, especially taking into account the fact that the also new (and more powerful and track-focused) Civic Type R hot hatch costs $10k more. Engineering Explained, one of the best sources for non-engineers to get a clear and simplified breakdown of what’s going on underneath a car’s sheetmetal, got behind the wheel of the Civic Si and delved into many relevant subjects. It’s lovely car geek talk. One of the topics brought up that caught our attention was the fact that this is the first turbocharged Si. The naturally aspirated VTEC is gone, resulting in a car that lacks some of that immediate throttle response VTEC fans love. Does this make the newly factory turbo-ed Civic Si a performance disappointment? No, it’s just a different car than before, though it has identical horsepower as its predecessor, but a greater torque output (and better fuel economy). Tradeoffs are a part of life.